Idiopathic Pulmonary fibrosis is a rare progressive disease. Patients may initially have mild symptoms of shortness of breath and cough. But over time as the disease progresses, symptoms become more severe and more onerous. Every day activities become a chore if not impossible. Navigating the day-to-day challenges of IPF is almost impossible without a caregiver or a team of people to support you. Let’s acknowledge some of the major tasks that a caregiver performs. Emotional support: Caregivers provide the emotional support and reassurance that is needed to put one foot in front of the next. They provide a hand to hold during tough times and a person with whom to celebrate the victories of a good day or good test results. A second set of ears: Have you had this experience? You are in the doctor’s office. The doctor has just explained the plan to you. As you are leaving the exam room, it is as though your memory was just erased. What did the doctor just say? This experience is so common that it is probably the rule rather than the exception. Your caregiver is there to hear what you just forgot and help you ask questions. Getting there: As IPF progresses many patients find driving harder. Simply getting to your doctor’s office or the hospital for testing becomes a hurdle. Your caregiver is ever-present to help make sure you are able to make all of your appointments. 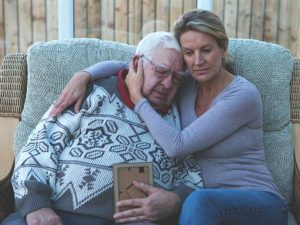 Companionship: Whether it is a meal, a hug or a kiss, someone to listen to you, or just someone to sit by your side, your caregiver is usually your closest friend. The companionship of a trusted caregiver provides reassurance and comfort that allows IPF patients to weather tough times. 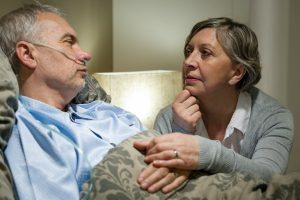 It is very common for a caregiver to put aside their needs while they are busy caring for a patient with IPF. In a temporary crisis, most people are able to shift to a high gear and focus on getting through the crisis. However, IPF is a crisis that lasts many years. This can lead to caregiver fatigue. How do you know if you are experiencing caregiver fatigue? Are you feeling tired all the time? Do you feel like you catch every respiratory bug that visits town? Is your fuse getting shorter and shorter? Do you feel like you are getting frustrated more easily and losing your temper? Are you feeling resentful of the time and energy you are spending in your role as caregiver? When was the last time you went out with your friends to enjoy yourself? Are you neglecting the activities that you enjoy? When was the last time you played golf or tennis or watched a silly movie? Are you relying on unhealthy crutches such as overeating, drinking or smoking? Remember it is a marathon and not a sprint. You need to pace yourself. Ask for help. Build a team or network to assist you. Your ability to be an effective caregiver means that you are also taking care of yourself. Accept help when someone offers. This may be hard at first. You may feel guilty or even resentful that someone else is making a contribution. Acknowledge these feelings. Then remember that a team is more effective than an individual. You are no less important because you have reached out for help in delivering care. Every person needs some time each day to decompress. This could be a visit to the gym or reading a book or meditating. Exercise in particular provides so many direct and indirect benefits. Not only does it help keep you physically healthy, but also the endorphins (brain chemicals) that are released during exercise help prevent depression and anxiety. Don’t neglect your own health. Make sure you see your doctor regularly. Eat sensible meals. Maintain a reasonable sleep pattern. Don’t forget to take your own medicines. Be a joiner. Support groups for caregivers allow you to connect with other people experiencing similar trials and tribulations. Being proactive about preventing health problems is an important part of staying healthy for anyone with lung disease. 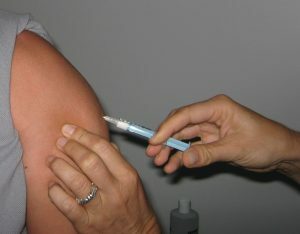 Vaccinations are a very effective tool in preventing infections. For patients with IPF, 4 types of vaccines in particular are important. Each fall, influenza rolls across the North America. The particular strain of influenza varies from year to year. Each year, the makers of the Influenza Vaccine try and predict which strain will be the most prevalent. The vaccine that is produced usually has a few strains included. Some years the vaccine is a good match and in other years the vaccine is not such a good match. Vaccination is quite effective in preventing severe influenza and moderately effective in preventing all influenza infection. A common misconception is that some people acquire the flu or come down with influenza from the vaccine. This is impossible when using the injected version of the Flu Vaccine. It is very common to have a sore arm and feel achy. However the vaccine contains only inactivated virus and can’t cause infection. There are two types of pneumonia vaccines for adults. The older version is referred to as Pneumovax or PCV23 and a newer vaccine called Prevnar or PCV13. Both vaccines are designed to prevent pneumonia caused by Pneumococcus, the most common cause of bacterial pneumonia in adults. The vaccines contain proteins found in the bacterial cell walls and generate an immune response that helps prevent infection. Patients over 18 years of age with any type of increased risk of pneumonia or chronic heart or lung disease are appropriate for Pneumovax. If you are over 65 years, then Prevnar is also indicated. You should wait at least six months between Prevnar and Pneumovax to ensure optimal immune response. A common misconception is that vaccine can cause pneumonia. This is not true. The vaccines contain no live bacteria, only proteins. It is very common to have a sore arm and a low grade fever or feel achy after receiving the vaccine. These symptoms are due to your body making an immune response that will help protect you from pneumonia in the future. Shingles is caused by reactivation of the Chicken Pox virus. Anyone who had Chicken Pox as a child has the virus lying dormant in their nerves. As we get older the chance that the virus reactivates increases. When the virus reactivates it does so only in a small area rather than all over your body. Even though the area may be small, the symptoms can be very severe. First there is an itching followed by pain and blisters. The blisters eventually crust over and heal but many patients are left with a burning pain that can persist for months. The best way to prevent Shingles is to get the Zoster Vaccine. This vaccine reduces the likelihood that you experience a reactivation. In contrast to most other viral vaccines, the Shingles vaccine contains live, weakened virus. 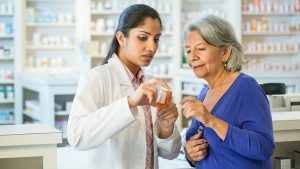 This means that anyone who is on medications that weaken the immune system such as prednisone in doses of at least 20mg/day or chemotherapy should not take this vaccine. The Shingles vaccine (Zostavax) is indicated for adults 60 years or older. It does not matter if you have had a prior episode of Shingles or if you can’t recall if you had Chicken Pox as a child. Over the past five years Whooping Cough has made a strong resurgence across North America. We have learned that the childhood vaccine begins to lose efficacy as we age. As a result, it is now recommended, that all adults receive a booster dose of Pertusis vaccine. The recommended vaccine is TDAP (tetanus-diptheria and acellular pertussis). This vaccine has no live bacteria and cannot transmit the infection. When trying to purchase travel insurance with pre-existent medical conditions, it can be difficult. Be prepared to explain what pulmonary fibrosis or idiopathic pulmonary fibrosis is, to spelling it out for them. Sometimes they will say, ‘that isn’t on our list of covered conditions’ and then you will have to go to a different company. Expect your insurance to be expensive, probably more than you wish to pay! Shop around and always check the insurance terms and conditions, such as when the insurance kicks in from – it may not cover the entirety of your holiday! Before calling for a quote, have the following information available and be prepared to fax or email the information to the insurance company. A complete list of your medication. You can request this from your Pharmacist. A letter from your Physician regarding your current state of health, stating that you are able to travel. What type of oxygen equipment you’ll be bringing with you on your trip and who is your provider. Your oxygen prescription for your trip. Below are a list of insurance websites for you to check out. Please like us on Facebook and share our postings with your network. A full supply of your medication. Have a list of all the medication you take and make sure you have a letter from your physician verifying your medication. Water or a beverage to take your medications. When possible, carry a water bottle with you so that you won’t have to hunt for a market in an emergency. An adequate supply of oxygen. Tanks do malfunction; bring an extra cannula hose to be safe. Your supplier may be able to provide you with compressed portable oxygen supplies for use in an emergency. Many oxygen-supply companies have outlets across the country and can arrange to have oxygen delivered to your destination when you arrive. If you are going on a longer trip, your oxygen supplier also may be able to provide you with an oxygen-conserving device. 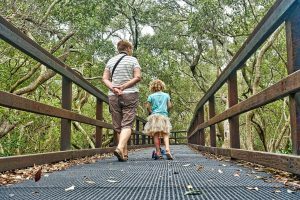 There are other pre-planning steps to take, depending on the method of transportation for your trip. It will help to make a list of all the calls you need to make and check them off as they are completed. Call your airline about their policies and procedures regarding oxygen. Most likely, the airline will require a letter from your doctor, a brief medical history, and a current prescription for oxygen. If your airline allows the use of your own portable oxygen concentrator (POC), they will probably ask you to bring along fully charged extra batteries, enough to last 150 percent of the predicted flight time. Always be sure to arrive at the airport early. New rules say that airlines may require passengers with oxygen to check in at least one hour or more in advance for the flight. However, airlines cannot keep you from boarding a connecting flight because of this time limitation. Drink lots of fluids. The air on the plane tends to be dry and you don’t want the lining of your respiratory tract to get dehydrated. Call the management of the bus or train line and explain that you will be traveling with oxygen. Request a seat in the no-smoking section. You should be able to take your oxygen aboard the bus or train without any problem. Below are Via Rail and Amtrak information. VIA Rail allows you to take a maximum of one oxygen tank with you. 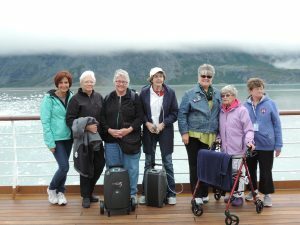 You are also allowed to use your oxygen concentrator (portable or stationary) on your trip. It is suggested you bring a short extension cord as well. Please notify VIA Rail at the time of booking that you will be travelling with oxygen. Notify Amtrak at least 24 hours prior to travelling. Maximum allowed oxygen on board cannot exceed one double tank set up of 75 pounds. You must be able to separate the tanks and they cannot be on wheels. A six-tank set up is allowed as long as each tank is less than 20 pounds. Equipment requiring electrical power must be self-contained (battery) for trips less than 12 hours. Electrical power on the train may be used for trips greater than 12 hours. Carry additional oxygen in the event of travel delays. Provide the cruise line with a letter from your physician. Include a brief medical history, and be sure your physician provides a current prescription for oxygen as well. Make arrangements for oxygen tanks to be delivered to the ship before it sets sail. Most cruise ships are accommodating as long as they have advance notice you will be aboard. Keep the windows closed to avoid fumes from the traffic. Do not allow anyone to smoke in the car. Place your oxygen upright in the seat beside you. If you can, secure the unit with a seat belt. If you have extra oxygen units, place them on the floor behind the front seats. Plan your route for times when the roads won’t be congested. Stop and rest whenever you feel the need. Get out of the car and walk around for a few minutes if you are able. Having Pulmonary Fibrosis doesn’t mean you’re stuck at home. If you plan a trip with care, you can have an enjoyable time and do and see as much as you are able. While on your trip, remember to pace yourself and make sure you get the proper rest. The goal of massage treatment is to address the soft tissue of the thoracic cage layer by layer, and thus to eliminate tension built up in the respiratory muscles and fascia separately. An equally important component of the treatment protocol is the detection and gradual elimination of trigger points and hypertonus developed in the respiratory muscles due to the patient’s chronic pulmonary disorder. 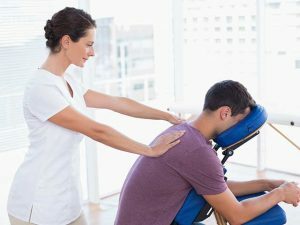 Full-body Therapeutic Massage (TM) in the stimulating regime activates the sympathetic division of the autonomic nervous system and reduces parasympathetic tone supporting the bronchodilation. Segment-Reflex Massage (SRM) developed by two German physicians, O. Glezer, MD and V. A. Dalicho, MD helps to stimulate respiratory function using viscero-somatic reflexes in areas of the skin, fascia, skeletal muscles and periosteum receiving their innervation from the same segments of the spinal cord as the lungs. SRM helps to defacilitate these segments. The Neuromuscular Therapy (NT) developed by British physician Dr.L. Chaitow, DO has similar approach to the somatic rehabilitation of the patients with the chronic pulmonary disorders as a SRM. Asymmetric Segment-Reflex Massage (ASRM) developed by Russian physician O. F. Kuznetsov, MD is a great clinical tool in helping patients with chronic bronchitis and emphysema. As a result of chronic coughing or difficulty in breathing, tension builds up on the opposite (unaffected) side of the thoracic cage. ASRM allows the practitioner to eliminate imbalance between the respiratory muscles on both sides of the thoracic cage, to support the excursion of ribs, and to restore elastic recoil during exhalation. As a result, the thoracic cage regains its ability, during inhalation, to expand equally on both sides. Various percussion, vibration and compression techniques (e.g., Prilutsky’s technique, respiratory stabilization technique, etc. ), which allow to effectively drain the bronchial tree and eliminate mucous plugs in the small-caliber bronchi and bronchioles and restore proper ventilation of the lungs. To learn more about how massage therapy might help you breathe easier, go to http://www.crmta.ca/?page=7 and contact your provincial massage therapy association to find a massage therapist. Patients who have been diagnosed with a life-threatening illness, often have difficulty in sleeping. This is not a surprise to many pulmonary fibrosis patients, as your mind rarely seems to settle anymore due to all the swirling thoughts and questions in your head. Generally, the purpose of breathing meditation is to calm the mind and develop inner peace. You can use breathing meditations as a practice to reduce your distractions before going to sleep. The first stage of meditation is to stop distractions and make your mind clearer and more lucid. This can be accomplished by practising a simple breathing meditation. Choose a quiet place to meditate and sit in a comfortable position. You can sit in the traditional cross-legged posture or in any other position that is comfortable. If you wish, you can sit in a chair. The most important thing is to keep our back straight to prevent your mind from becoming sluggish or sleepy. You sit with your eyes partially closed and turn our attention to your breathing. You breathe naturally, preferably through the nostrils, without attempting to control your breath, and you try to become aware of the sensation of the breath as it enters and leaves the nostrils. This sensation is your object of meditation. You should try to concentrate on it to the exclusion of everything else. At first, your mind will be very busy, and you might even feel that the meditation is making your mind busier; but in reality you are just becoming more aware of how busy your mind actually is. There will be a great temptation to follow the different thoughts as they arise, but you should resist this and remain focused single-pointedly on the sensation of the breath. If you discover that your mind has wandered and is following your thoughts, you should immediately return it to the breath. You should repeat this as many times as necessary until the mind settles on the breath. If you practise patiently in this way, gradually your distracting thoughts will subside and you will experience a sense of inner peace and relaxation. Your mind will feel lucid and spacious and you will feel refreshed. When the sea is rough, sediment is churned up and the water becomes murky, but when the wind dies down the mud gradually settles and the water becomes clear. In a similar way, when the otherwise incessant flow of your distracting thoughts is calmed through concentrating on the breath, your mind becomes unusually lucid and clear. You should stay with this state of mental calm for a while. Even though breathing meditation is only a preliminary stage of meditation, it can be quite powerful. You will see from this practice that it is possible to experience inner peace and contentment just by controlling the mind, without having to depend at all upon external conditions. When the turbulence of distracting thoughts subsides and your mind becomes still, a deep happiness and contentment naturally arises from within. This feeling of contentment and well-being helps you to cope with the busyness and difficulties of daily life. So much of the stress and tension we normally experience comes from our mind, and many of the problems we experience, including ill health, are caused or aggravated by this stress. Just by doing breathing meditation for ten or fifteen minutes each day, you will be able to reduce this stress. Rheumatoid arthritis is an inflammatory disease of the joints. It typically involves the hands, wrists and feet but can involve any joint. What is less well known is that Rheumatoid Arthritis can involve the lungs in many ways. When Rheumatoid Arthritis leads to Pulmonary Fibrosis, patients often have severe symptoms of shortness of breath. Over the years there have been few good quality studies of medications to treat this process. Generally speaking, most medications that treat joint inflammation have been entirely ineffective at treating the scarring in the lungs. Medications such as Humira, Enbrel and others just don’t work to stop the fibrosis. We often try medications such as mycophenolate (Cell Cept) but results are usually disappointing as well. A recent study of patients with Rheumatoid Arthritis (RA) and Pulmonary Fibrosis is shedding some light on why this is such a difficult problem to treat. Researchers have discovered that patients with RA and Pulmonary Fibrosis have mutations in a gene called MUC5B. Interestingly, mutations in this gene have also been found in some patients with Idiopathic Pulmonary Fibrosis. This further suggests that perhaps RA associated Pulmonary Fibrosis should be thought of more as IPF in a patient with RA. Although there have not been any studies with OFEV or Esbriet we remain very interested in this as a better treatment for this disease. Pulmonary Rehabilitation: Is It For You? Any person with a chronic lung disease might benefit from pulmonary rehabilitation. These programs are individualized and include assessment, patient education, exercise training, psychosocial assistance, and information on disease prevention. Pulmonary rehabilitation is a program to help people with chronic (long-term) lung disease. Any person with a chronic lung disease might benefit from pulmonary rehabilitation. Examples of lung conditions include chronic obstructive pulmonary disease (COPD), asthma, chronic bronchitis, or pulmonary fibrosis. Pulmonary rehabilitation may also be ordered to help patients either before or after chest or lung surgery. • Assessment: This can be done by a nurse, respiratory therapist, exercise physiologist, or doctor. • Education: subjects to help you deal with your chronic lung condition. • Exercise: to help you feel better and do more. • Psychosocial: to help you deal with a chronic lung condition. • Nutrition: to help learn what foods and weight may be best. Where is pulmonary rehabilitation done? How often do I have to go? Most pulmonary rehabilitation programs will be done at your local hospital or outpatient health center. Pulmonary rehabilitation is usually done 3 times a week for 6-12 weeks. If you have a chronic lung disease and you want to feel better, one of the best ways may be to go to a pulmonary rehabilitation program. It may be hard and will take some time but you should feel much better after attending. Ask your doctor about a local program. Canadian Pulmonary Fibrosis Foundation has a great resource page for you to get started! CPFF’s New Year Resolution #5. For those who have PF or IPF, we are always concerned about germs in our homes. One way to keep the germs out is to ask your guests to remove their shoes when they enter your home. 1. “Wearing shoes inside leaves residue from pesticides. According to the National Resources Defense Council, the soil and stains tracked into homes on the bottoms of dirty shoes contains a lot more than just that annoying old dirt. 3. “Lead. The EPA recommends that everyone take off their shoes before entering homes because soil that contains traces of lead can be brought inside. 4. Dirt. Paying someone to come and clean your house is not always an option due to tight finances. Most caregivers would rather spend more time with their loved one, then in wasting time and energy on cleaning every speck of dust, dirt, stain, and grim in the house. How do you ask guests to take off their shoes without coming across as being difficult or unreasonable? Below are 4 different ways you can ask your guests to take off their shoes in your home, both directly and indirectly. A good way to get the point across is to put a sign up. Hopefully people will see the sign and get the hint that they need to take their shoes off. For example, a door mat with the words, “Remove Shoes”. 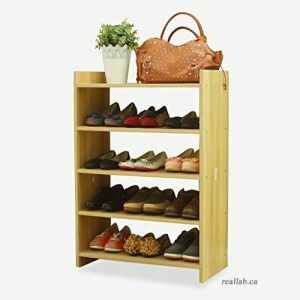 Have a place where people can place their shoes when they come into your house. You can use a basket, a tray or shoe mat. Create a space where your guests have a place to sit, take off their shoes, and hang up their stuff. No matter how small your space, there are creative way to create this space from places like Bed Bath & Beyond. Be as nice and polite as you can be when you ask. 1. I just cleaned and mopped the floor. I really appreciate it! 2. We just got the carpets cleaned and I want to keep them clean. 3. We’re trying to keep our floors cleaner from all the dirt coming into the house. 4. Trying to keep our home cleaner and healthier for my spouse. 5. Trying to avoid in dirt, dust, and toxins into our home. 6. We don’t wear shoes in the house. Thank you so much. Remember, your house is your home and you set the rules at your house. It’s never rude to enforce rules in your home. If people don’t follow your rules, they’re the ones being rude and disrespectful for not caring about you as an individual and your health concerns. CPFF’s New Year Resolution #4. 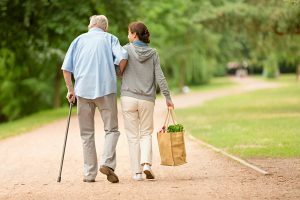 The caregiving journey usually starts out by helping someone with minimal tasks: taking them to a doctor’s appointment or helping them, make dinner. But, as our loved ones decline with the progression of PF or IPF, caregiving can become consuming. The Canadian government in 2012, conducted a study on the caregivers. They found that 8 million Canadians, or 28% of the population aged 15 and over, provided care to family members or friends with a long-term health condition, a disability or problems associated with aging. 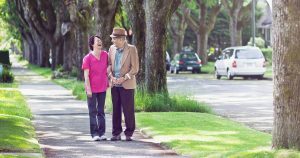 Canada’s Caregiver tax credit – learn how to claim a caregiver tax credit on your return. Joining a support group can help you meet people who truly understand the difficult situation you’re facing. If leaving home is too difficult, there’s also plenty of support online. It’s true that you are not as effective in any role when you are running on empty. Stick to your exercise routine, maintain good eating habits and get your 7-8 hours of sleep a night. The only way to maintain your health is to prioritize these habits, put them in your schedule and maintain consistency. Family and friends want to help, but they usually don’t know how or what to do. Next time someone offers support, be prepared with a few ideas; such as dropping off dinner, running to the pharmacy or even watering the flowers. Taking these simple tasks off your to-do list relieves pressure for you and provides fulfillment to the helper. Educational support can better equip a person for the role. There are in-person sessions, workshops and even online training options. We all have emotions, its normal; but what we do with those emotions is where we can impact others and ourselves. Next time you are feeling those emotions, stop and ask yourself what’s causing them and if there is anything you can do. A lot of the time we don’t have control of situations, but when we recognize this, it’s easier to let it go. There will be a time when you will feel overwhelmed; it is natural. Whether it’s a 15-minute power nap, reading the next chapter in your book, journaling or even a week vacation, take breaks. Even go a step further and indulge yourself in a spa treatment or play another round of golf. Taking time away from this role will only make you a better caregiver and enrich the life of your loved one. Life may occasionally become chaotic, so be prepared for it, accept it and cherish the times of status quo. When the body and mind decline, you may see physical and emotional decline in your loved one causing added stress to your life. Understand you will get back to a “new normal” but being organized and striving for the “routine” will help lead you back to your regularly scheduled life. It is okay to maintain your current role as daughter or spouse, for example, and share the caregiving responsibilities. Enlisting professional help is a great option to maintain the current relationship with the care recipient. CPFF’s New Year Resolution #3. Pulmonary Fibrosis is a condition in which your lung tissue becomes scarred, making it difficult to breathe. Symptoms vary from person to person, but often include the following: coughing, weakness, fatigue, achy joints and weight loss. 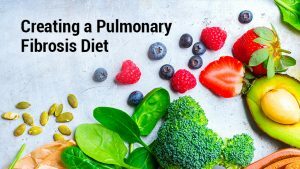 A healthy diet, however, may help people with pulmonary fibrosis combat the severity of symptoms. Key elements of a healthy diet include a variety of fruits and vegetables, whole grains, fat-free or low fat dairy products and lean protein, such as poultry without skin, seafood, processed soy products, nuts, seeds, beans and peas. A healthy diet is also low in sodium, added sugars, Trans and/or saturated fats and refined grains, which lose many of their nutrients through processing. You also may want to consider eating several smaller meals a day rather than three larger ones. Having a full belly can make it harder to breathe, so eating smaller meals that don’t fill you up can set you up for success. Fruits and vegetables are rich in antioxidants, which helps your body protect itself against disease and infection and support your immune system. Additionally, researchers at the University of Maryland, Medical Center found that antioxidants may reduce symptoms of gastroesophageal reflux disease, or GERD, which is common among people with pulmonary fibrosis and can actually cause the disease to worsen. Try these: berries, cherries, kiwi, cantaloupe, leafy greens, broccoli, Brussels sprouts, cabbage, squash, carrots & bell peppers. Foods rich in carbohydrates are important for giving us energy. However, not all carbohydrates are the same. When it comes to breads, whole grains are the best option. Breads that aren’t whole grain are called refined grains and have had much of the nutrients stripped from them. As a result, refined grains can disrupt your blood sugar and energy levels. Try these: 100 percent whole grain breads and cereals, brown rice, wild rice, whole quinoa, pearled barley, old-fashioned oatmeal and air-popped popcorn. Dairy products are great sources of calcium, protein and vitamin D. However, whole milk products contain large amounts of saturated fats, which is not good for a pulmonary fibrosis diet. Choosing skim and low-fat varieties are a great way to get the good benefits of dairy without the bad. Additionally, if you’re struggling with unintentional weight loss, you can replace water with milk in foods such as oatmeal, soups and smoothies to take in more calories. If you can’t tolerate or are not a fan of dairy, you can enjoy soy, cashew or almond milk to obtain similar benefits. Try these: kefir (also rich in probiotics, which aid in digestion), skim milk, part-skim cheese, Greek yogurt and non-dairy options such as almond milk, soy milk and veggie cheese. Nuts and seeds are an excellent source of protein, and they are also high in nutrients and calories. They are a great choice for a pulmonary fibrosis diet because they can help to combat weight loss. Nuts and seeds make for a healthy snack and are a great alternative to unhealthy choices such as potato chips. Try these: walnuts, flax seeds, chia seeds and almonds. When starting a new pulmonary fibrosis diet plan, the key is keeping an open mind and staying positive. 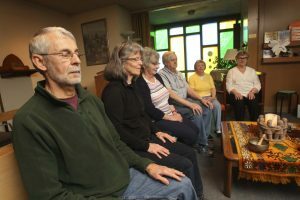 Relaxation techniques such as meditation or breathing exercises can help calm your mind if you start to feel overwhelmed. Remember, the key to making any long-lasting change is starting slow and making small changes. Maybe you will start by making one change, such as eating berries for breakfast instead of waffles or cereal. Next, try switching out any white bread in the home for whole grain or sprouted bread. Small changes are what lead to great success over time. CPFF’s New Year Resolution #2. For pulmonary fibrosis patients, even activities of daily living, such as showering and doing housework, may leave you short of breath. Because of the breathlessness, exercise may not be on the top of your to-do list. In fact, some people with PF may avoid physical activities as much as possible to prevent air hunger. But exercise can be beneficial for people living with pulmonary fibrosis. Get the green light from your pulmonologist: Although exercise is usually safe for people with pulmonary fibrosis, it’s always best to talk with your pulmonologist. There may be some circumstances in which you should avoid certain types of exercise or limit what you do. Progress slowly: Slow and steady is best. Increase your exercise intensity and duration gradually. Also, do what you can when you can. On days you feel stronger, do a little more. But it’s also essential to listen to your body. Don’t beat yourself up if you have a day when you can’t do as much. Consider a Pulmonary rehabilitation program: Although exercising at a fitness center or going for a daily walk may work for some people, an exercise program specifically for people with lung disease may be your best option. 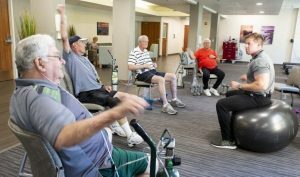 Pulmonary rehabilitation programs are often run by respiratory therapists and exercise physiologists who are experienced working with people with chronic lung disease, such as pulmonary fibrosis. Pulmonary rehabilitation programs usually combine instructor-led exercises classes with education on living with lung diseases. During exercise sessions, your symptoms, heart rate and oxygen levels will be monitored to alert your instructors to any problems. Pulmonary rehabilitation is an excellent way to learn more about your condition. The more information you have, the better you can manage pulmonary fibrosis. If you’re interested in locating a pulmonary rehabilitation class near you, talk to your pulmonologist. MaryAnn DePietro, B.S. CRT is a medical writer and licensed respiratory therapist with over a decade of clinical experience. She earned degrees in both respiratory therapy and rehabilitation and currently works in a pulmonary rehabilitation program in California.